November 16, 2016, Dayton, OH – Prime Controls, a manufacturer of double metal sheet sensors and controls for the can making, automotive, appliance and other metal forming industries, was name by the Dayton Business Journal as the 2016 Manufacturing Business of the Year. This elite award is one of the most coveted titles of the year, celebrating the region’s best in business. 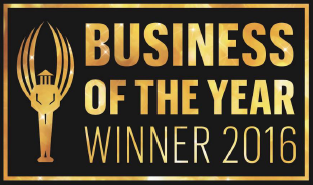 Succeeding their win in five categories (Innovation, Exporting, Sustainability, Community Involvement and Overall Excellence) at the Manufacturer of the Year awards, Prime Controls took top place in the Manufacturing Business of the Year category for the 2016 DBJ Business of the Year Awards. Prevailing over two other prominent Manufacturing companies in the regions, Prime Controls was hand-picked by the guest judges recognizing the company’s continued excellence in engineering and manufacturing high-quality products that are sold world-wide. “The Prime Controls Team is ecstatic to be recognized by our community for providing world-class products and service to our customers,” says Beth Graves, President of Prime Controls. “We are proud and fortunate to be a part of a great community that is focused on and supports entrepreneurs and small businesses. We are excited and looking forward to the future and will continue to develop products that matter,” continues Beth.